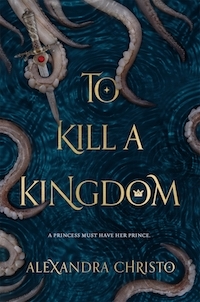 As I said in my interview with Thy Bui, I will be highlighting the works of designers and illustrators who create book covers. 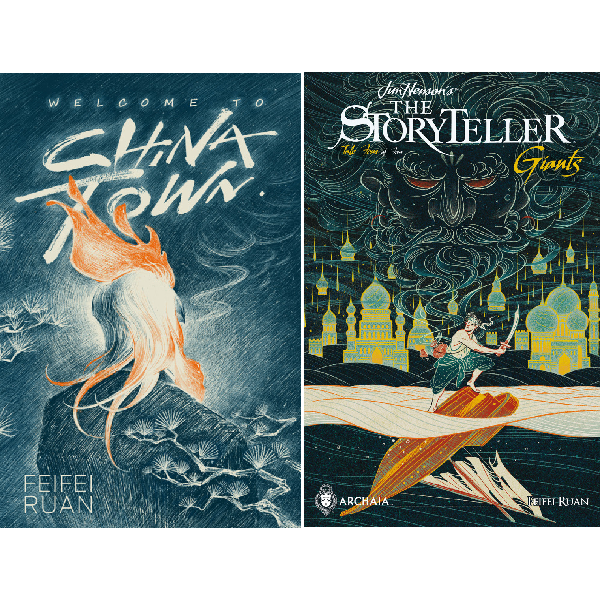 Today I bring you an interview with Feifei Ruan, the artist who illustrated the covers of Descendant of the Crane and A Thousand Beginnings and Endings. Etinosa Uwadiae: Tell us a little bit about yourself. 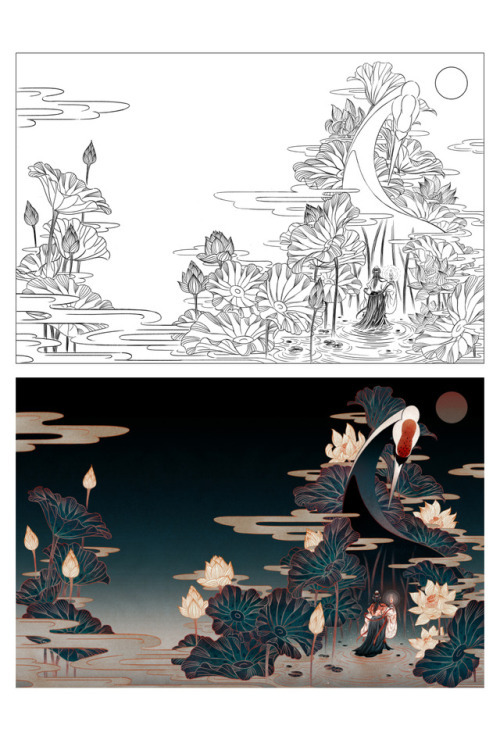 Feifei Ruan: I’m a freelance illustrator based in New York City. I was born and raised in China. I came to the U.S. to study visual storytelling at the School of Visual Arts in 2013. 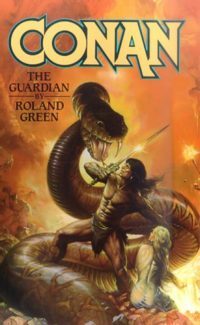 My works can be seen on book covers, magazines, websites, merchandise, and murals. My style ranges from eastern classic to science fiction and fantasy. EU: How did you become an illustrator and visual storyteller? FR: I started making illustrations for Chinese magazines when I was studying graphic design in college. After graduating, I worked as an intern in a design firm. It took me a year to figure out what my real passion was. Then I applied to the MFA Visual Narrative program at School of Visual Arts (SVA) which eventually led me to the current freelance life in New York. 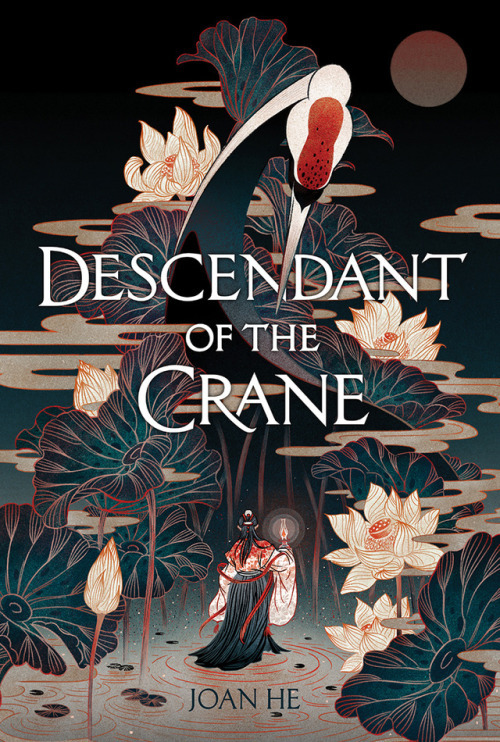 EU: You designed the cover of Descendant of the Crane by Joan He. Can you tell us what inspired you to create such beautiful art and the creative process behind it? FR: Thank you. When I design book covers, I always try to find the most symbolic elements or scenes from the book. 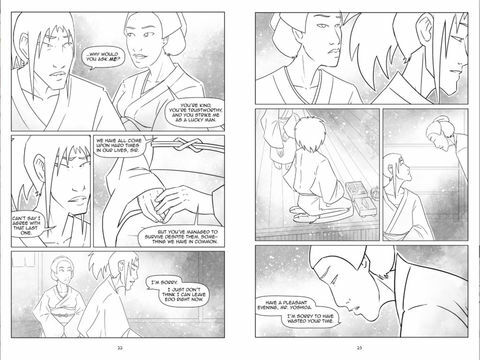 For Descendant of the Crane, I was attracted to the relationship between the father (King/Crane) and the daughter (Princess). I wanted to show the intense/mysterious atmosphere between them, just like the main storyline of the book. 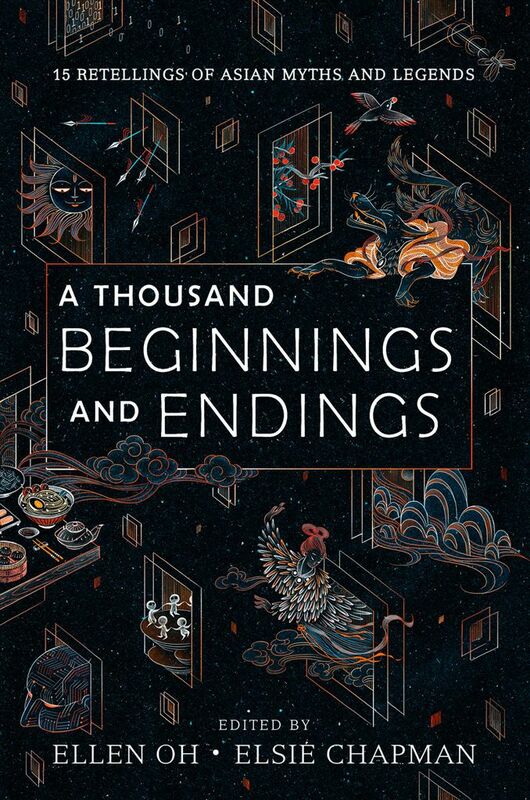 EU: You also designed the cover of A Thousand Beginnings and Endings by Ellen Oh, can you tell us about your creative process behind it as well? FR: A Thousand Beginnings and Endings is an anthology of 15 stories which cover several topics and genres such as war, romance, sci-fi, fantasy, religions, etc. 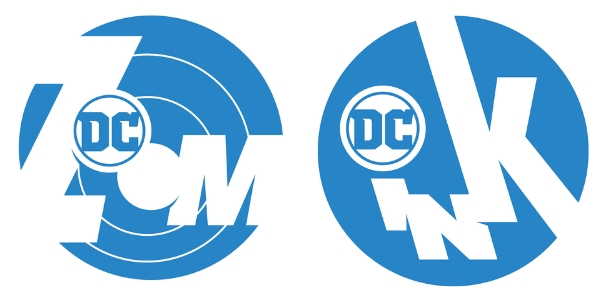 Since they are all very different, it wasn’t easy to make that one cover to represent all. So I put these “doors” in the space as black holes. The story elements from different times and places all “come out” to interact with each other. 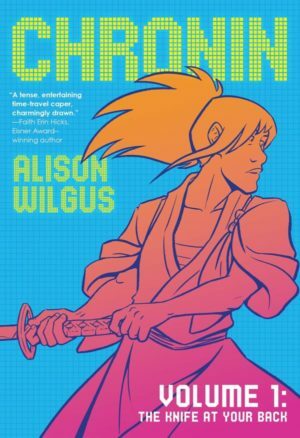 EU: You’ve illustrated several comics including Welcome to Chinatown, Sashimi, Jim Henson’s The Storyteller: Giants #4. 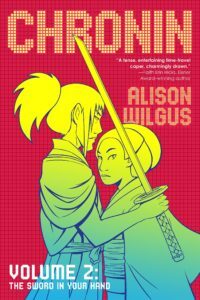 What is your inspiration for them and what do you want readers to get from them? FR: Welcome to Chinatown was my school assignment at SVA. It’s an absurd story that based on my own feelings about Chinatown. 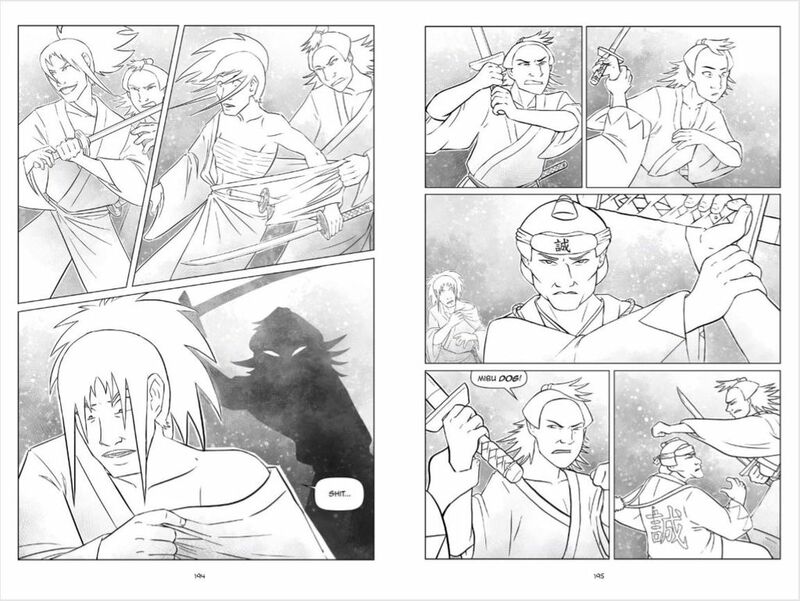 Sashimi is a graphic novel and picture book hybrid. It’s a horror story inspired by some of my recurring dreams. The Storyteller: Giants is a retelling story commissioned by the Jim Henson company which is based on several stories from the One Thousand and One Nights. These three books are all different but similar in some way—they all comes from certain cultures (Chinese/Japanese/Arabian). I think it is the “culture” that I want to share with the readers. 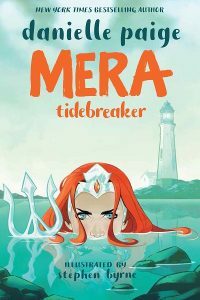 EU: What’s your advice to new artists out there who would like to start a career in illustration? FR: Be patient, be open-minded, and be smart. Drawing requires lots of time and practice. Keep trying and don’t be afraid to make mistakes when you’re learning. Always keep an open mind and think from different angles. Lastly—don’t be shy to share your works with the world, and learn from the feedback! EU: Who are your favourite illustrators? FR: There are so many. 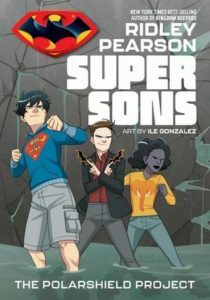 Tomer Hanuka and James Jean are the two illustrators that inspired me to become an illustrator in the first place. Their drawings are full of stories and emotions. I think that good artwork can always give you new feelings every time you look at them. That’s what they are. Feifei Ruan is a Chinese Illustrator and Visual Storyteller based in New York. You can find more of her works on her website and connect with her on Twitter and Instagram. 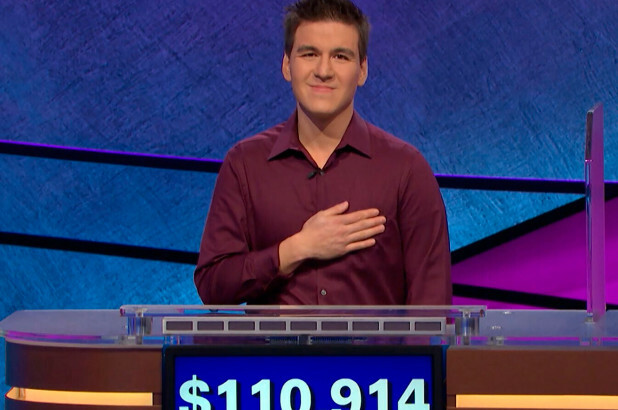 “I plan to give some of my winnings to the local branches here in Las Vegas,” says James Holzhauer, who has been on a record-winning Jeopardy! streak this week. He set a single-game record on Wednesday, April 9, by winning an unbelievable $110,914. The 34-year-old professional gambler from Las Vegas went on record with his game-play strategy, noting that it was utilizing children’s nonfiction books from the library that helped him bone up his knowledge quickly. Holzhauer, a Naperville, Illinois, native, told the local paper that his biggest secret for studying subjects he couldn’t get into was checking the children’s section, because the pictures and fun facts made getting the basics easier. “When I first got serious about wanting to win on Jeopardy!, I thought I would finally read all those classic works of literature they always ask about. That plan lasted through one scene of Hamlet, before I fell asleep from boredom. Then I remembered how I recognized many classic works of literature—Dr. 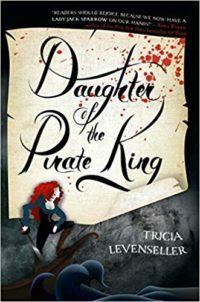 Jekyll and Mr. Hyde, “The Gift of the Magi,” Cyrano de Bergerac—because they had been adapted into TV shows and kids’ picture books,” he said in an email with Book Riot. 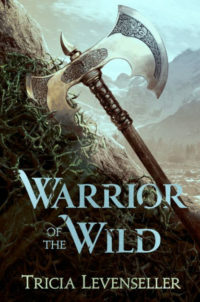 Holzhauer cited Mythology For Teens and Greek Mythology For Teens, both by Zachary Hamby, as two of his favorite books encountered using this strategy. “I ended up buying both and reading them for fun,” he added. Family has been a huge part of Holzhauer’s strategy as well. He’s made wagers based on loved ones’ birthdates that have not only allowed him to send well-wishes and appreciation for them, but also have helped him walk away with bigger and bigger prizes at the end of the day. They’ve also been part of his strategy, whether or not they’ve been onto it. It’s fitting his success and story emerged during National Library Week. As he stated above, he plans to make a donation to his local library system. Despite what many might presume given his winning streak and his knowledge base—not to mention his studying strategy—Holzhauer wasn’t an especially diligent or invested student growing up. But one teacher stands out in his memory as making a lasting impact on him. Jeopardy! isn’t his first run on a television trivia game; he was also a contestant on The Chase. Between the two shows, it seems reasonable to assume that there’s been a question or two that haunted him, whether because he missed it or because he nailed it. He couldn’t go on the record about his favorite answer, as that has yet to air. As reading has become a bigger part of his life, it’s only natural he’s put some thinking into what authors he’d love to have dinner with and which author he’d want to team up with to form the ultimate trivia partnership. Welcome to team book worm, James, and best of luck in the rest of your run. Maybe soon you’ll be publishing as many books as previous mega-champion Ken Jennings. AW: I have a book that I’m pitching right now that would be a YA science fiction book that I hope can find a home. I’m working on it with my friend, Paula Kowalski—a genius. It’s a very straight forward day in the life teen story only with catastrophic space weather. I’m trying not to be the biggest cliché in the world, but I’m really trying to make time to work on my novel because I’ve been putting off working on it. Other things keep being bigger priorities. I’m going to try to do some short comics again to get back into the habit of doing that again.